Everyone freeze when they hear the word cancer, but if we look at the numbers and discoveries we have all the reasons to be furious. When I see an issue that is affecting all of us I can’t ignore it and I go down the rabbit hole and digg for the truth. Every family on this planet lost members because of cancer, I lost 3 members. When I open the TV I hear how helpful chemotherapy is, but yet many people die. And chemotherapy and radiation is not that helpful, they kill every healthy cell you have, but they don’t kill cancer cells. I don’t see any help in this. They say that medicine is very advanced now, with a lot of technology and you hear governments saying that their cancer death rates decreased, but let’s look at the numbers I found. As you see from my chart above, every single year from the last 18 years cancer deaths increased. In 2018 we had the most cancer deaths in history. Where is that advanced medicine? In 18 years almost 49 million people died from cancer and around 100 million people got sick. This is insane and has no excuse for the slow process of finding the right treatment! National Cancer Institute also say that “Genetic changes that cause cancer can be inherited from our parents.” Well…It’s time for some thought provoking info…Let’s think about all the ancient bodies that archaeologists discovered, they are our parents from many generations before us and none of these bodies had cancer. So how can we inherit a disease that never existed? Cancer is not a virus that is spread as you talk with someone, cancer is a damage at your cells’ DNA (the cells brain). Cancer is you. To damage a cell you need the following: radiation, toxins, chemicals, high level of stress. WOW! We have all of these in our daily life. So cancer is caused by external factors that are in our food, clothes, devices and medicines. This is cancer. Do you remember seeing a warning at the grocery shop from time to time on some fruits and veggies that you should peel it? Why do you think you see this warning? Because that fruit or vegetable has too many chemicals on it and instead of throwing it way and lose a lot of money, they say to peel it. It was proven that the toxins go down to the pulp and you shouldn’t eat that fruit or vegetable at all. While some doctors and institutes say any cell can become a cancer cell, new research may show that stem cells are becoming cancer cells first and chemotherapy kill the normals cells, but don’t kill the stem cancerous cells and this is why cancer relapse. Stem cells survive much longer than ordinary cells, increasing the chance that they might accumulate genetic mutations. It might take only a few mutations for one cell to lose control over its self-renewal and growth and become the source of cancer. According to Texas A&M researchers Fen Wang, Ph.D. and Wallace McKeehan, Ph.D. “cancer is a stem cell disease“. Multiple studies have shown that even within the same lesion, not all cancer cells are the same. Researchers also often find cancerous stem cells within a lesion, and many believe these cells are the key to preventing the initiation and relapse of cancer. Many people are familiar with embryonic stem cells, which can become any cell or organ in the body; however, each organ in the body also contains non-embryonic stem cells that are specific to that organ. These organ-specific stem cells control reproduction and growth of the organ through replenishing damaged or aged cells, as well as regeneration of tissues. Researchers now believe that cancerous stem cells may trigger reproduction and growth of cells within a cancer. These cancerous stem cells lurking within the cancer, under the radar of cancer drugs that target cell proliferation, may underlie the relapse of tumors after surgery of the primary tumor or other cancer treatments. Moreover, without the cancer, stem cells cannot metastasize or spread. Often years after the organ or the cancerous lesions are removed and the patient is declared cancer-free, breast or prostate cancer can return in other organs, indicating the cancer had metastasized before it was originally detected. Cancerous stem cells may be the reason for this. Wang and McKeehan discovered the specific pathways FGF protein uses to activate stem cells or to keep them dormant. This discovery has major implications for future cancer therapies. Researchers liken an FGF miscommunication between cells to a game of “telephone.” In this game, FGF miscommunication activates previously dormant stem cells in one organ, and proceeds to miscommunicate with other cells in the same system, enabling the cancerous stem cells to reproduce and spread, impacting other systems in the body. These discoveries about stem cells are made 10 years ago and we are still stuck with the inefficient and deadly chemotherapy. Texas A&M University. “Can stem cells cause and cure cancer?.” ScienceDaily. http://www.sciencedaily.com/releases/2015/08/150812151249.htm (accessed January 1, 2019). Ready to change your life and get healthier according to your destiny? Learn what to eat and what health issues you have based on your own health number. Click the image to join my mailing list to be the first to find out when the book launch. These signs are numbers that you see very often or even every day, but you don’t notice the signs and keep asking and become angry that the universe is not responding to you when it actually does. The signs come in the form of repeating numbers. Now you have to possibility to send me the repeating numbers you see and I will analyze them and e-mail you what the universe is telling you. Click the image to get your reading. Do you have a burning life and/or business question? Now it's the time to ask for guidance! 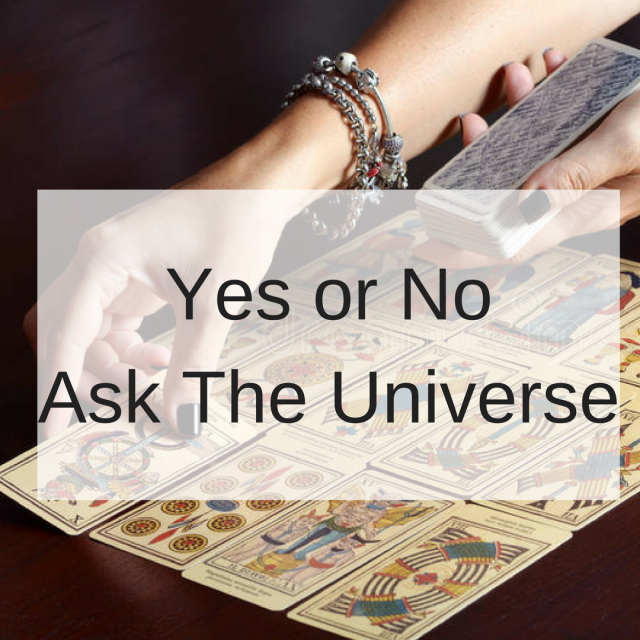 You can ask one, two or even three questions to find what the universe have instore for you. Click the image to get your reading. If you want to take a big step in your life but don't know if is the right step ask the universe. The universe can say Yes or No. Just click the image to find the answer.